Saga prefecture sits in the northern half of Kyushu, sandwiched between bustling Fukuoka and historic Nagasaki. From the wild north coast to the porcelain towns of western Saga to the sake brewing districts of the southern Kashima region, this compact prefecture offers a host of hidden delights. The Saga Prefectural Government kindly offered to host me on a three-day discovery of their region and I'm met at Saga station by spokesperson Yoshiki Sonoda. While it's quite easy for Kyushu residents to access Saga by public transportation, those coming from further afield, such as Haneda and Narita airports, can fly directly into Ariake Saga Airport. A one-way ticket from Narita to Saga airport can be very reasonable, with the lowest being ¥5,700. Furthermore, until March 31, 2015, travelers can rent a car at the airport for a special price, ¥1,000, for two days. 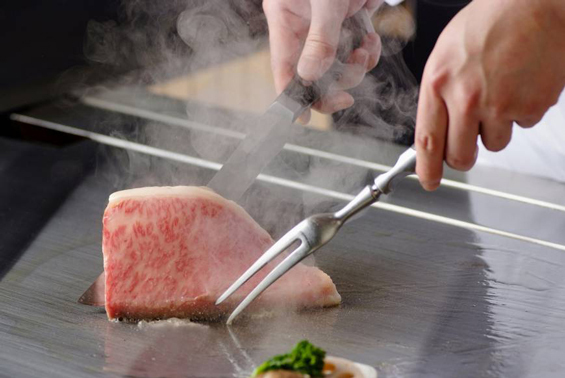 We fuel up for our trip at Kira Honten, a Michelin-starred establishment in Saga City serving Grade A5 Saga beef. The meat, which I cook on a griddle at my own table, is succulent and juicy, and the price is quite affordable for such top-quality fare. From Saga City, we drive south to the Kashima area, a major sake producing region. 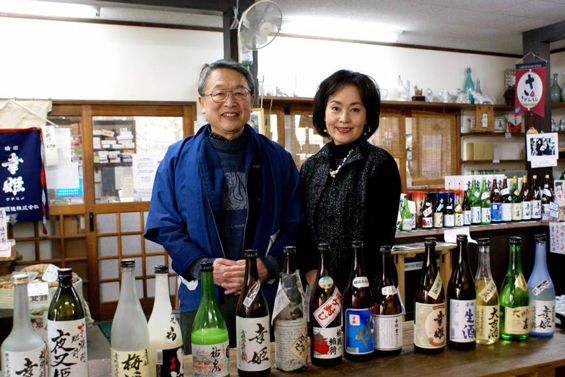 At the Sachihime brewery (whose name translates to Happy Princess), a cheerful Hiroko Minematsu and her husband Yukihiro, the fourth generation owners, will gladly pour you a taste of any of the dozen kinds of sake the brewery produces. "Most foreigners who visit also like our unusual "umeshu" (plum wine), Yukihiro explained. Unlike other brands of umeshu, which are made with "shochu" distilled liquor, the base for Sachihime's sweet brew is "nihonshu" (sake) . A short walk away is the Hizen Hamashuku neighborhood, a former post town on the road to Nagasaki, where old white-walled "kura" (storehouses) still ply the local specialties of sake and soy sauce to visitors. At the end of the main street, we pop into the 101-year-old sake establishment of Minematsu Shuzo-jo, where ebullient owner Kazukiyo Minematsu sells a range of easily quaffed sake. On March 28 and 29, 2015, Hizen Hamashuku will host a "Sake Brewery Tourism" event, offering numerous tasting opportunities. I bed down for the night at Kanigoten, a hotel on the edge of the Ariake Sea. 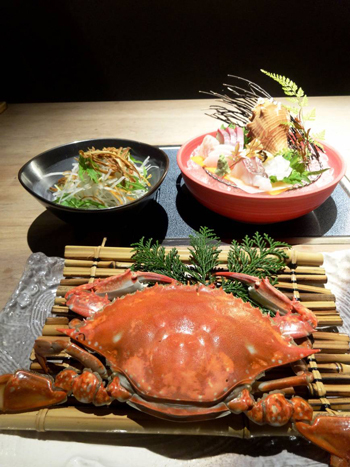 Boasting an excellent view of the Ariake Sea, a rooftop "rotenburo" outdoor bath and delectable "kaiseki" traditional Japanese cuisine, featuring local crab, a stay at this picturesque hotel is unforgettable. I wake early to enjoy dawn breaking over the water, without having to leave the comfort of my bed. After breakfast, I'm met by Saga spokesperson Ayumi Sakai, who takes me to Arita. The town gained prominence as the first place in Japan to succeed in making porcelain about 400 years ago and still has many craftsmen. Through April 5, 2015, Arita will hold the 11th Arita Hina Matsuri. During the festival, shops will display Arita porcelain "hina" dolls and restaurants will offer limited items. We spend the morning touring Arita's many porcelain workshops. 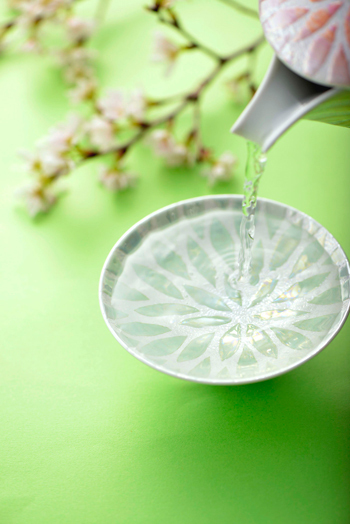 The venerable Koransha provides delicate dinnerware with elegant designs. I found a "sakazuki" sake cup good to drink Kashima sake with. At the Imaemon Kiln, across the street from Koransha, is where potters make Iro-Nabeshima-colored porcelain, which were tributes to shogunate families and gifts to nobility in the Edo Period. Iro-Nabeshima plates even have patterns on their bottom, a tiny detail of the craftsmen's professionalism you barely notice. Living national treasure Imaemon XIV crafts elegant, modern Iro-nabeshima using a "sumihajiki" technique. About 4 km away from Imaemon is Kakiemon Kiln, whose porcelain featuring Japanese natural beauty in vivid persimmon-like red on the unique milky-white background, was exported to Europe in the late 17th century where it was treasured by European nobility. The 15th generation potter Sakaida Kakiemon seeks his own style while following tradition. At Gen-emon Kiln, 3 km from Kakiemon, I have the chance to watch Arita's artisans in action. Their rustic factory is open to visitors allowing for a close-up view of the painting and glazing processes. You can also purchase dinnerware in the showroom. For lunch, we head to Gallery Arita, where I indulge in the chicken set "Aritayaki-Gozen" featuring Arita poultry prepared five different ways. For my coffee, I could even choose my own porcelain cup from the cafe's 2,000 available. At the nearby Kyushu Ceramics Museum, I tour part of the Shibata porcelain collection, which contains more than 10,000 pieces. Donated by Mr. and Mrs. Shibata, famous collectors of Old Imari, the display provides an intimate look at the ceramic styles of the Edo Period. "The exhibit is changed around once a year," explained curator Ayako Yamamoto, "and it would take about ten years to see the entire collection." From Arita, I went to Karatsu and checked in to the Yoyokaku Ryokan, a famous haunt of French diver Jacques Mayol. Longtime proprietor Akihiko Okochi and his son and manager Masayasu welcome me warmly to the carefully cared for hotel. The inn also features several galleries of Karatsu ware by the renowned local potter Takashi Nakazato and his children. Although Yoyokaku's "shabu-shabu" hot pot dinner is reputedly excellent, I enjoy dinner downtown at Tsukuta. Despite his restaurant's two Michelin stars, sushi master Yuji Matsuo is anything but pretentious. He's equally at ease slicing the day's fresh catch or explaining his "omakase" (chef's choice) menu in English. I would make a pilgrimage here again simply to eat Matsuo's grilled squid stuffed with roe and sprinkled with pepper. In the morning, I enjoy a stroll through Yoyokaku's exquisitely landscaped garden just after dawn. It helps to whet my appetite for my multi-course breakfast at Kawashima Tofu, where I'm served creamy tofu in a "zaru" (wooden basket) and delicately crusted "agedofu" (fried tofu). It's with a much fuller stomach that I tackle the steps up to Karatsu Castle, which sits on a promontory at the edge of Karatsu Bay and was built as a former stronghold of Terasawa Shimanokami Hirotaka, a retainer of Toyotomi Hideyoshi. A more-than-100-year-old wisteria trellis dominates the castle grounds. "In the spring," said Hanae Matsunaga of the Karatsu City Tourism Division, "it's like walking through a shower of flower petals." 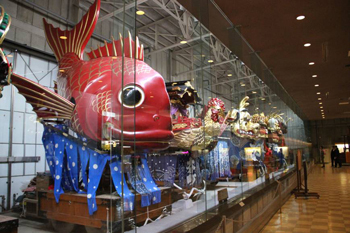 In the center of town, the Festival Float Exhibition houses the massive lacquered floats that are carried enthusiastically through the city's streets every Nov. 2 to 4 during the Karatsu Kunchi festival. I find "The Phoenix Boat," built in the 19th century, the most impressive, but the perennial favorite at the parade is "The Red Snapper," for the way it "swims" its way through the crowds. Up along the coast, the Yobuko area serves up some of Saga's best squid. The specimen that graces my lunch plate at Kawatarou is beautifully transparent and still twitching, a sure indication of its freshness. On weekends and holidays, the lines to indulge in this local delicacy can reach wait times of up to an hour. From Yobuko, It's a 90-minute drive to Takeo Onsen (hot spring), a spa town. The entrance of Takeo Onsen is guarded by the colorful Roumon Tower Gate, a tower designed by Tokyo Station architect Tatsuno Kingo. The tower celebrates its 100th anniversary in April, 2015, and from April 6 to 9, Motoyu and Houraiyu onsen will offer free bathing to visitors. Children will enjoy free entrance on April 6 and 7, while adults get free admission on April 8 and 9. Around 2022, a new shinkansen in western Kyushu will make Saga more accessible than ever. With excellent seafood, exquisite crafts and exuberant festivals, Saga is a destination to be savored.